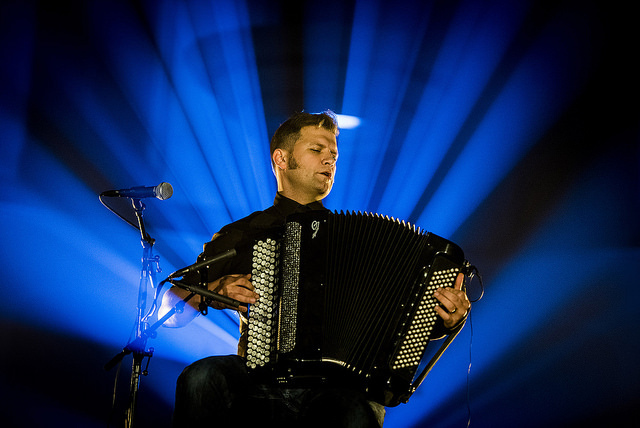 Earlier this month, Bosnian accordion virtuoso Mario Batkovic performed at Into The Great Wide Open on Vlieland. Vrije Geluiden was there to capture a session with Batkovic on the beach. Watch below. Mario Batkovic performs at Le Guess Who? 2017 on Saturday, 11 November, as part of the program curated by James Holden. Also performing that day are a.o. Pharoah Sanders, Moon Duo, Maâlem Houssam Guinia, The Bug vs Dylan Carlson of Earth, Jambinai, Farida & The Iraqi Maqam Ensemble, and many more.